Valley View Appliances has been proudly serving the Airdrie area since 1997. Many of our team members call Airdrie home and therefore we can provide the true, hometown advantage! 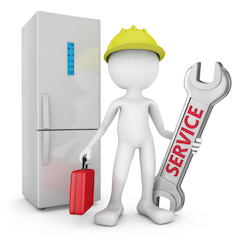 We offer local, honest appliance repair service to the valued residents of Airdrie. ​Because we value you and your time, we have invested in training the very best in the industry to help make your appliance repair experience successful from start to finish.